This event is part of the Global Issues Symposium 2019, which carries the theme of "Militarization of Global Politics, Economy & Society" and organized by the International Studies Program. This lunch talk features Ayesha Siddiqa, PhD, research associate with the Centre for International Studies & Diplomacy (CISD) at the School of Oriental and African Studies (SOAS), University of London. "After fighting a war for almost two decades in Afghanistan, the Unitd States is nowhere close to winning the conflict. The key source of help and challenge is Pakistan, with whom Washington has an alignment since 2001 to fight the war on terror. However, despite investing billions of dollars in economic and military aid, Pakistan does not seem to have delivered. "It is not just about a difference of opinion between the two states on the future of Afghanistan, but also Pakistan’s deep-set skepticism of the U.S. Pakistan's alternative partnership with China is one of the reasons for the continued lack of cooperation from Pakistan. This talk will lay out the power of the Pakistani military that lies at the bottom of the strategic disconnect." Siddiqa is a research associate with the Centre for International Studies & Diplomacy (CISD) at the School of Oriental and African Studies (SOAS), University of London. She has a doctorate in war studies from King's College, London. She is the author of two books: Pakistan's Arms Procurement and Military Buildup, 1979-99, and Military Inc; Inside Pakistan's Military Economy. She is currently working on another book on militancy and extremism in South Asia and its links with the Middle East. She was the first Pakistan fellow at the Woodrow Wilson International Centre for Scholars, She also was a Ford Fellow, a senior research fellow at Sandia National Laboratories and a Charles Wallace Fellow at St. Antony's College, Oxford. 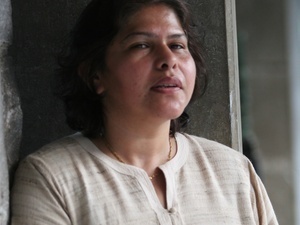 Siddiqa has also taught at the University of Pennsylvania and Johns Hopkins University.